Self description: By nature I am a romantic person, very calm, purposeful. I can say with certainty that I am honest and loyal, and I wait for this from the others. Watching children, watching animals and flowers make me smile and feel peace inside. I’d like to meet first of all a good friend and an understanding person. And it doesn’t matter in what part of the world he lives! I just need a close person in my life, which would accept me for who I am. And in my turn I will try to do my best to make this person happy. 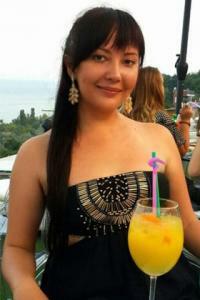 Hobbies and interests: I like active way of living, I am fond of sports. I like dancing, listen to the music, read interesting books, go for a walks and meet with friends. What you are looking in your partner: I would like to meet a man who would be my loyal friend, a reliable person, my love for lifetime. I hope he will be honest, sincere, tender and caring, reliable, with a big desire and serious intentions to create a family.